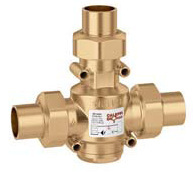 Boiler protection high-flow thermostatic mixing valve. Brass body and lower plug. 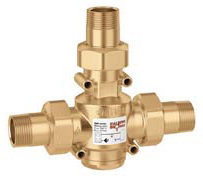 Boiler protection recirculation and distribution unit.